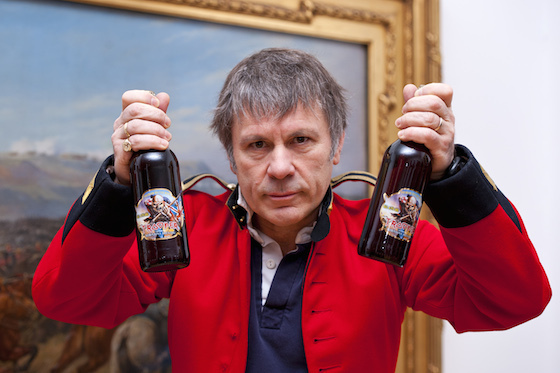 Iron Maiden frontman and airline pilot Bruce Dickinson may not be the band's original vocalist, but he's widely considered to be their best. That said, his future was recently put in jeopardy with a cancer scare. According to a statement from the band, Dickinson saw his doctor late last year for a routine checkup, at which point a small cancerous tumour was discovered on the back of his tongue. Fortunately, they caught it early enough that he's expected to make a complete recovery. Just before Christmas, Maiden vocalist Bruce Dickinson visited his doctor for a routine check-up. This led to tests and biopsies which revealed a small cancerous tumour at the back of his tongue. A seven-week course of chemotherapy and radiology treatment was completed yesterday. As the tumour was caught in the early stages, the prognosis thankfully is extremely good. Bruce's medical team fully expect him to make a complete recovery with the all clear envisaged by late May. It will then take a further few months for Bruce to get back to full fitness. In the meantime, we would ask for your patience, understanding and respect for Bruce and his family's privacy until we update everyone by the end of May. Bruce is doing very well considering the circumstances and the whole team are very positive. Iron Maiden's most recent studio album was The Final Frontier, which came out in 2010.